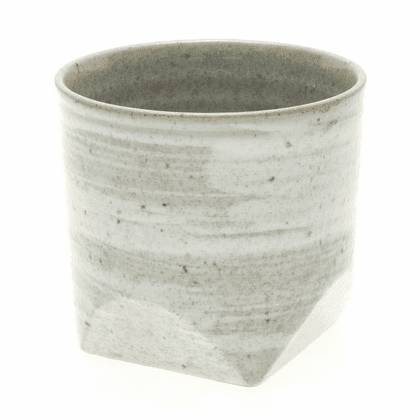 Grey Faceted Rock Cup, 10 oz. Home | Ceramic Tea Cups & Mugs | Ceramic & Porcelain Cups | Grey Faceted Rock Cup, 10 oz. Ceramic tea cup 3-3/8 inches in diameter, 3-1/8 inches tall. Holds 10 ounces.